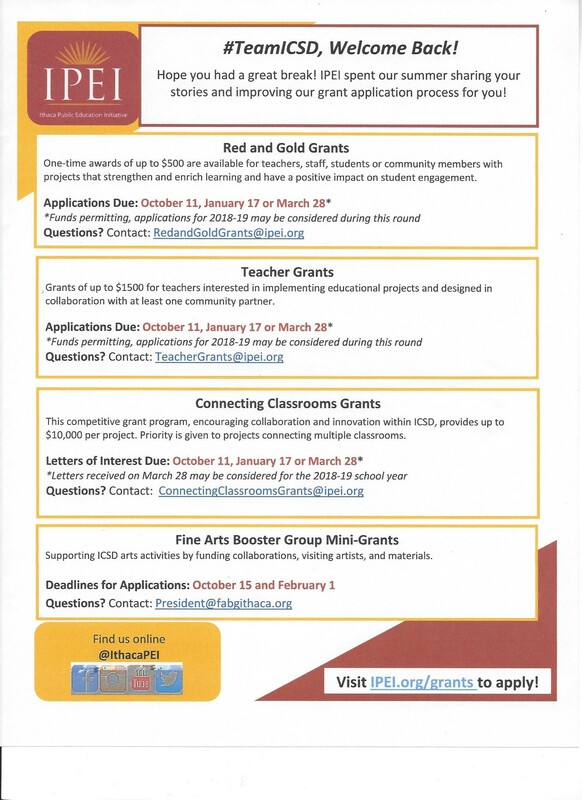 ICSD Educators: Visit IPEI.org/grants to Apply in 2017-18! 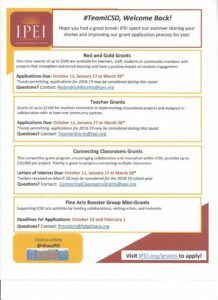 We are excited to announce that the 2017-18 grants application forms are posted and ready for the great ideas of the ICSD teachers and staff! One-time awards of up to $500 are available for teachers, staff, students or community members with projects that strengthen and enrich learning and have a positive impact on student engagement. 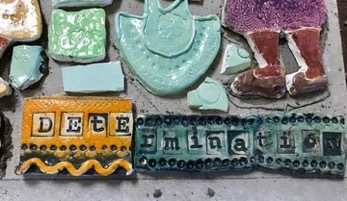 Grants of up to $1500 for teachers interested in implementing educational projects and designed in collaboration with at least one community partner. This competitive grant program, encouraging collaboration and innovation within ICSD, provides up to $10,000 per project. Priority is given to projects connecting multiple classrooms. Supporting ICSD arts activities by funding collaborations, visiting artists, and materials. Newsletter Features 2016-17 HighlightsWorkshop for IPEI Grant-Seekers: Getting to Yes!